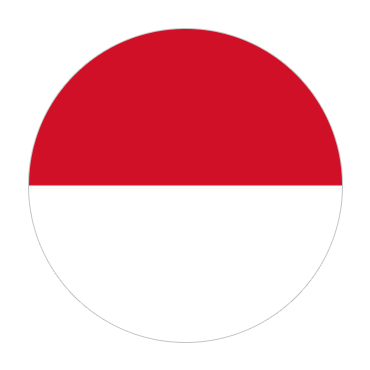 Indonesia, a Southeast Asian country made up of thousands of volcanic islands, is home to several ethnic gatherings talking a wide range of dialects. It's known for shorelines, volcanoes, Komodo mythical serpents and wildernesses shielding elephants, orangutans and tigers. All through the nation are goals for surfing, scuba plunging and swimming, and additionally trekking. There are sanctuary ruins at Borobudur (Buddhist) and Prambanan (Hindu). Indonesia's primary religion is Islam, however the island of Bali has a transcendently Hindu custom and a notoriety for move and performing expressions, particularly around the memorable town of Ubud. Neighboring Lombok, with the dynamic Gunung Rinjani fountain of liquid magma, is a door to the laid-back, movement free Gili Islands, prestigious for scuba plunging. Orangutans occupy the rainforests of Sumatra, while Indonesia's Komodo mythical beasts live in Komodo National Stop.